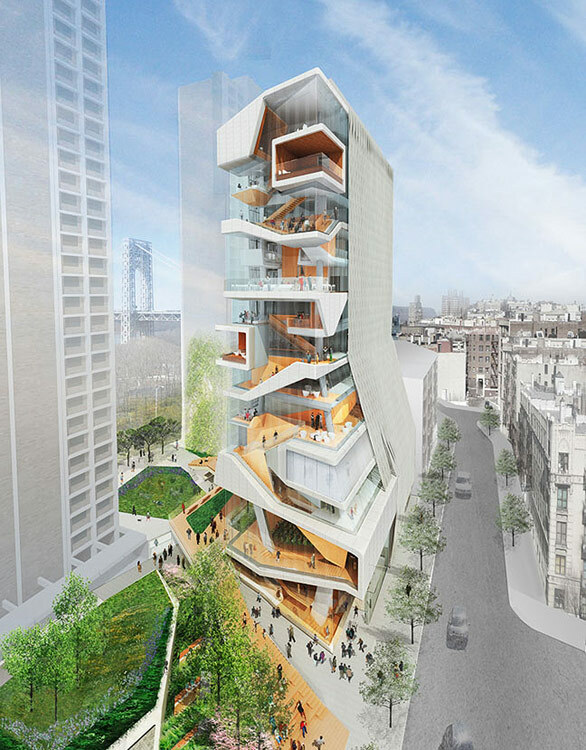 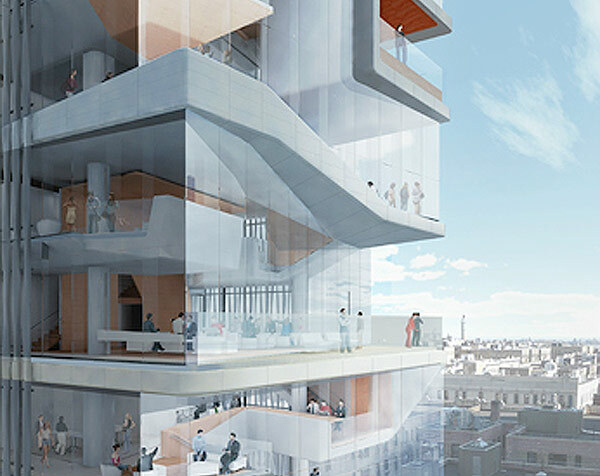 Columbia University Medical Center has unveiled plans for the Diller Scofidio + Renfro-designed Medical and Graduate Education Building on its campus in Washington Heights. 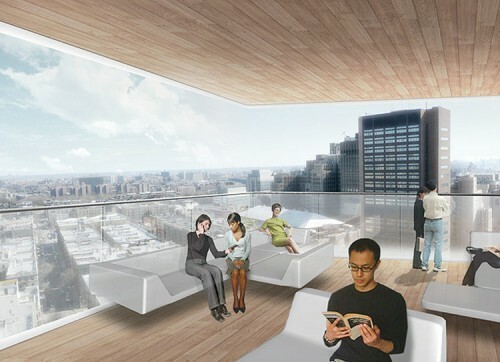 Visible from nearby George Washington Bridge and Riverside Park, the 14-story tower will become a major landmark in the skyline of northern Manhattan, with a south-facing multi-story glass façade punctuated by jutting floorplates and exposed interior spaces. 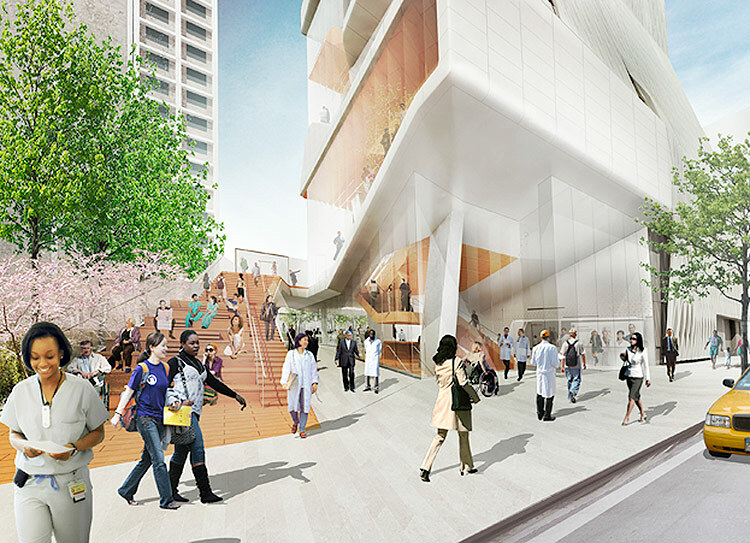 The building will house the four schools of CUMC along with the biomedical departments of the Graduate School of Arts and Sciences. 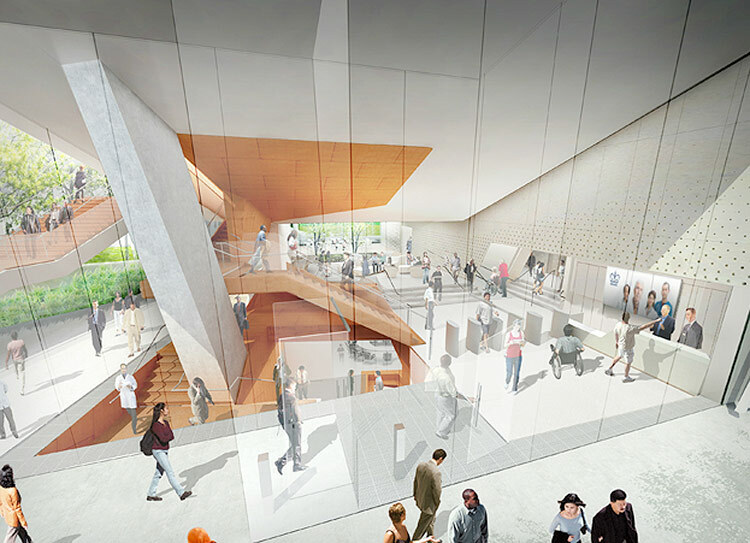 The building will feature technology-enabled classrooms, operating rooms, and other real world clinical environments, collaborative and quiet study spaces, an auditorium, student lounges and cafes, and multiple outdoor spaces, all woven into the spiraling system of floor plates expressed on the structure’s exterior. 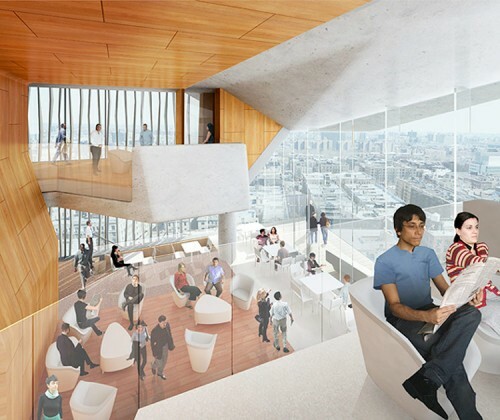 The tower will serve as a visual landmark for the northern limit of Columbia’s medical campus and its announcement follows the release of plans for the school’s Manhattanville expansion to the south of the new building. Construction on the tower is expected to begin in early 2013 and will take approximately 42 months. 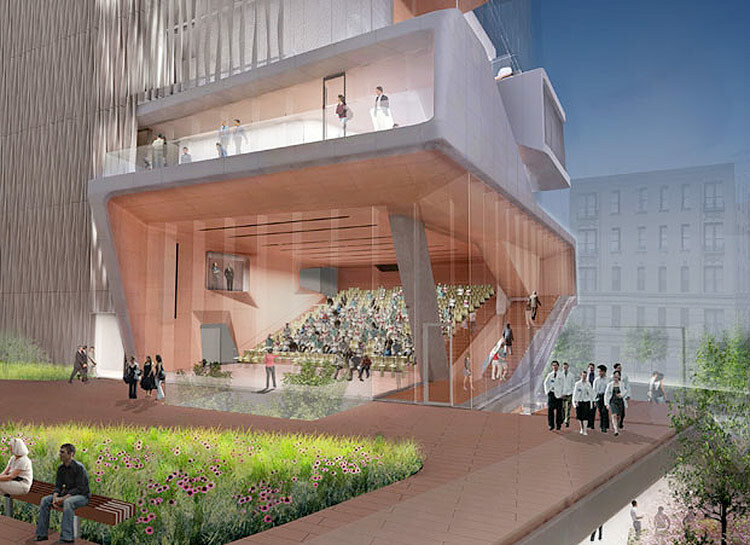 Columbia hopes the building will meet LEED-Gold standards for sustainability.